An effective maintenance programme will identify faults in advance of their becoming a safety hazard and more costly to repair. A preventative maintenance programme will include a definitive inspection schedule. Serious consideration should be given to having maintenance inspections carried out by bicycle as this will more accurately report the maintenance need from a cycling perspective. 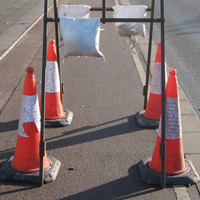 To achieve this, all cycle routes should be examined on a priority basis between late August and mid-October for evidence of ponding, blockages, debris build up, or structural deterioration. 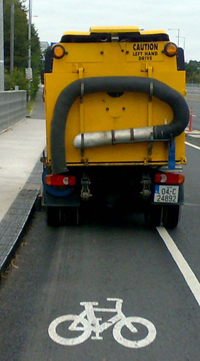 Greater attention is required for off-road cycle tracks as they do not benefit from the passive cleaning associated with general carriageways. Often, faults and defects can be detected by road users, especially cyclists and bus drivers, in advance of a scheduled inspection. A reporting mechanism is required so that such faults and defects can be reported as soon as they arise. This may take the form of a website, specific telephone or email address etc. The results of all examinations and reports should be logged and prioritised as appropriate. Drainage – evidence of ponding on the cycle facility or blocked drains causing flooding and splashing on the carriageway. Local Authorities should consider joint inspections with cyclists who are familiar with the routes and who can point out flaws that may not be immediately obvious, relevant or urgent to the inspector. All defects should be logged centrally. Ideally logging systems should be geo-referenced (map based) so as to facilitate the location of the defect, when it was reported, when it should be fixed and when it has been fixed. 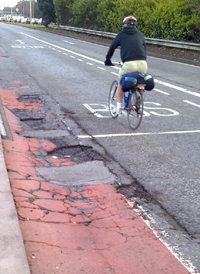 Defects such as potholes, uneven surfaces and defects pose a much greater risk to cyclists than they do to other road users. The same is true of broken glass, debris, wet leaves, standing water or ponding. These should be urgently attended to within the maintenance programme. The nature and potential hazard of the reported defects from inspections and users should be prioritised on the basis of risk and the potential cost of non-feasance. 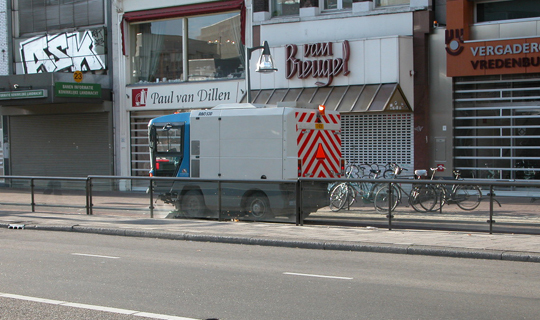 Normal maintenance works arising from inspection is generally funded from current expenditure. Maintenance coupled with Quality of Service improvements may in some cases be appropriately classified as capital expenditure.